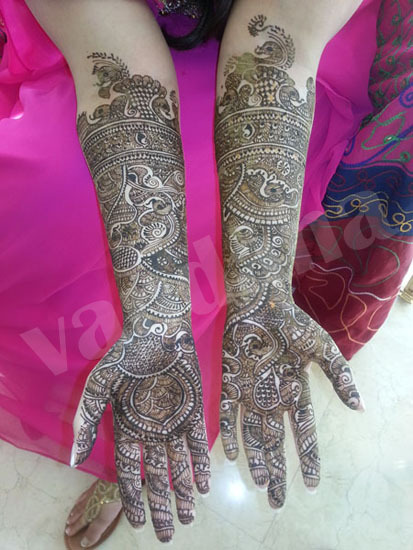 Vandana, a talented Dubai based mehndi artist is proud of her collection of exquisite and beautiful mehndi designs. 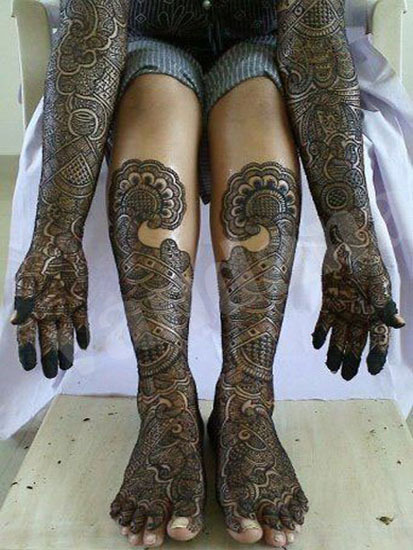 She thinks the art of applying mehndi is a rewarding experience not just for the bride (or whosoever it is being applied on) but also for the artist who is applying it. In her words “Anything marvelous is beautiful”. Let’s take a look at her work and get inspired by the lovely designs she is known for. A symbol of love and new beginnings, applying mehndi before the wedding is an age old tradition that has been passed on for generations in India, Pakistan and the Middle East. When I first started, it was purely out of passion and love for the art. As time went by, my interest only grew fonder and today it’s been 22 years since I began doing mehndi. It has truly been a gratifying journey so far – there has been no looking back ever since! We offer an array of designs at Vandana Henna Art Designs like bridal, Arabic, fashion and our brand new 24 Carat Gold Henna, there’s something for every bride. We believe in spreading joy through our designs. Each design is unique in its own way and has a story to tell. Our patterns are highly inspired by traditional paintings and floral shapes. From all the designs that we offer, my most favorite one is our newly launched, nickel-free and bio compatible 24 Carat Gold Henna. It’s an innovative design in which the hands are painted with gold henna to give a royal dazzling effect. The gold color blends in perfectly with the wedding dress and adds more charm to the glowing bride. Ever since we launched these designs, they’ve gained popularity among not just Indian or Arabic brides, but also among English brides. 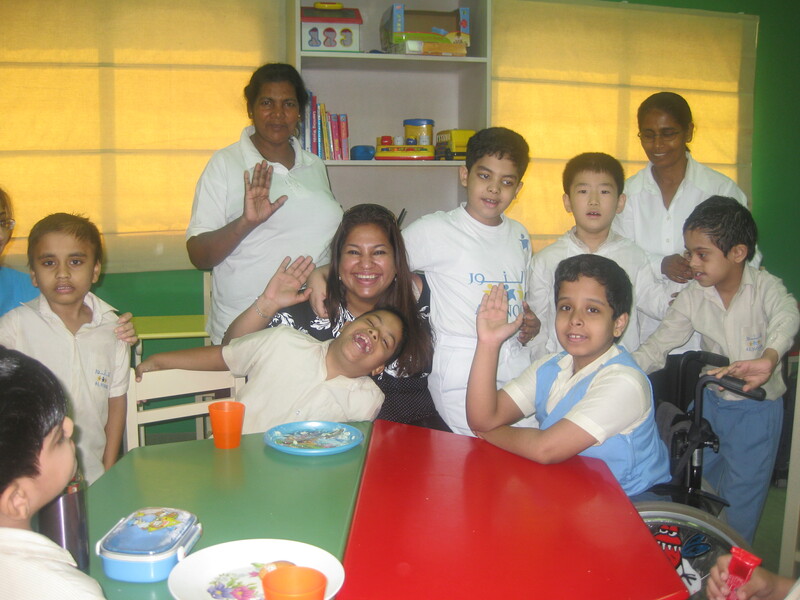 There are few memorable experiences which is very close to my heart, one such is when I was volunteering at Al Noor Center for Special Kids, whereby I had my mehndi stall put up at the venue, and all the money collected went to the center for the kids, it was such a lovely experience to have designed the hands of special children, and the happiness that they had on their face was priceless. Not only did girls, but even boys enjoyed it as much. They were interested in getting their names written down with mehndi. Besides, my best honorable services to the society won an award by a German company, and the 1st price winner at the International level, whereby I received EUR 1000/- which was donated to the Al Noor Center. I am so proud of being a mehndi artist, the one who brings a smile not only on a bride’s face, but across age groups. 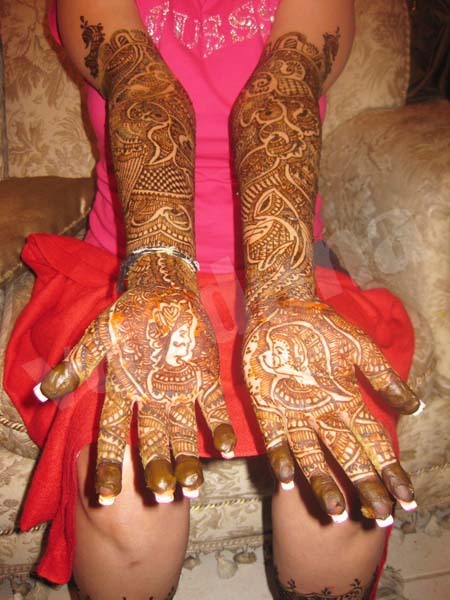 Mehndi is not just about applying it, it’s also about saving it to get a rich, dark look. Once an artist applies mehndi, her job is done. Then it’s upon you to take care of it. The most basic thing one can do is keep your hands warm over the stove. Also, keep your hands away from water. Atleast for the first 24 hours after it has been applied on the skin. Apart from that, you can apply oil and lemon sugar syrup. You can email me on info@vandanahennaartdesigns.com. For more details about my designs, you can have a look at my website.